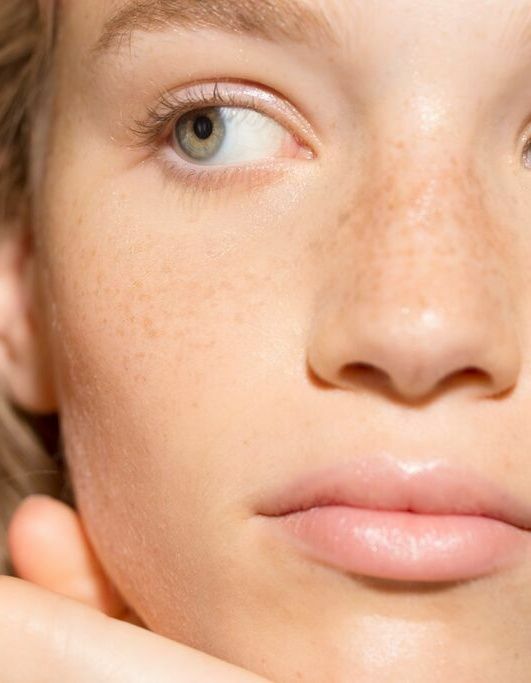 Acne-prone skin has met its match; when it comes to oils, at least. And, seeing that CBD oil is making its mark on the beauty industry (read why we think it’s a huge marketing ploy here), we thought it apt to showcase the part of marijuana that is actually effective to the skin: hemp seed oil. Note to self: high not included. Straight from the wiki page: “Hemp oil or hempseed oil is obtained by pressing hemp seeds. Cold pressed, unrefined hemp oil is dark to clear light green in color, with a nutty flavour. The darker the color, the grassier the flavor.” It’s chock-full of polyunsaturated fatty acids, omega 6, omega 3, and tocopherols (the technical term for Vitamin E antioxidants). Hemp seed oil is a 0 on the comedogenic scale, meaning there is absolutely no way that it will clog pores or make you break out. In fact, some research shows that it’ll actually help regulate and control sebum production, so it’s perfectly safe for both acneic skin and oily skin types. Topically applied, the oil is highly moisturizing (without being greasy) and aids in anti-aging benefits (thanks to the omegas and antioxidants) and improving the overall texture of the skin. Refined hemp seed oil, on the other hand, is colorless and lacks vitamins and antioxidants, so make sure to use cold pressed and unrefined, like this. While most people think that jojoba oil is the HG for acne-prone skin, it actually has a comedogenic rating of 2, which means there is a chance it’ll clog your pores and make your acne worse. Sure, it’s not a 5 or even a 3 or 4, but any chance of clogging pores is a no-go for us. After tons of research, we found that hemp seed oil is, in fact, the HG oil for acneic skin. It smoothes, softens, reduces redness and inflammation caused by breakouts, offers anti-aging benefits, a natural complexion “glow,” and it won’t clog pores. ZERO PERCENT chance of a breakout. And it’s even safe for sensitive skin and those suffering from psoriasis and eczema, so if you suffer from sensitive, acne-prone skin, we’ve just unveiled your complexion’s new best friend. You’re welcome. The only con to this oil is it kind of smells like soil and it has a dirty-ish green hue to it. So, it’s not going to be the prettiest oil to look at — or the most deliciously fragrant one — but it’s great for our skin, so we don’t give a *&^%. The pros SO outweigh the cons, we’re game for this oil anytime, anywhere. Honestly, so few products contain hemp seed oil, we’re kind of floored! This carrier oil should be the base of oily / acne-prone skin oils, but it’s not. You can definitely still get the benefits by buying a bottle of organic, unrefined hemp seed oil and applying it to your face as a moisturizer, or add some essential oils to target other concerns. But if you’re not a DIY-er, here are a few pre-made options (although few are formulated specifically for acne-prone skin). The rest of the products in this line-up are hemp-infused for the body (which is great too).